For the individual next few Milestones, we have larger pictures. If you missed our livestream yesterday, make sure to watch it, but we'll also planning to have a detailed explanation for the individual bulletpoints in text format as well. Also, we want to thank you for your support and feedback, it's a great help bringing our vision to completion, with clear goals and determination! All Hail the new Road map. I think it was a wise choice to focus on nuts and bolts first. Get that core looking great then add in the fluff. Hype for some salty-PvP this month :D who wants to Fite meh! Nah, They just thought that it would be so much more fun releasing the pysker with story mode in than just doing instances. Great idea for these of us been testing for many months. I think it's clear: they released the psyker, he tried to do something, suffered Perils of the Warp, and he and all the developers got eaten by daemons before they could make the patch public. That's why there haven't been any news, everyone capable of delivering them was killed and/or possessed. Nah, just give them time :) I'd rather have them take a bit longer and do it right, rather than hurry towards an ambitious roadmap and deliver something bad. 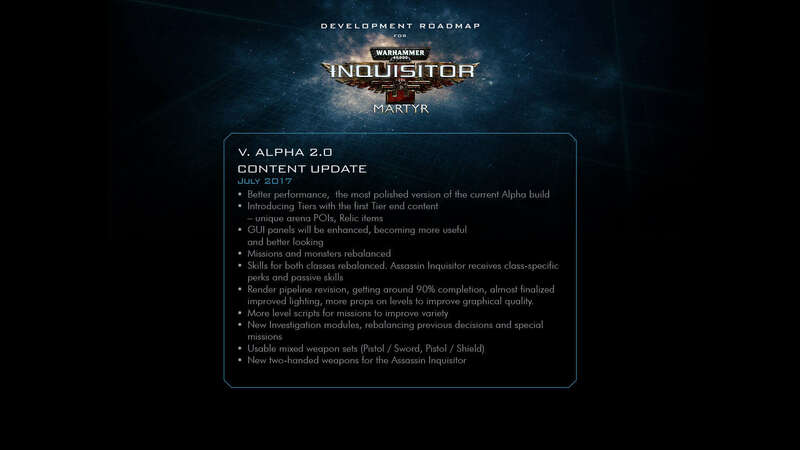 Don't be like Behaviour Interactive, and do an оfficial statement about your tardiness with psyker patch. Because now it look like dishonesty. It's not official, more like a personal opinion, but as far as I know, we will merge 2 patches into one and release this during the first week of December. You guys should make a formal announcement on this today. Many are expecting a major update today. If the day passes with no patch or news from the Devs, the Steam forums will explode with negative feedback. When you say "merge 2 patches", does that mean the Nov & Dec updates ? I too was wondering this. Been looking forward to playing psker since I started playing months ago. So it is November 28th, has the roadmap been delayed? I came over from Steam. I am looking to buy a copy of the game, but I don't know anything about the game yet, other than what I have read on Steam, or seen in YouTube videos. How far through is the development? When will the game be released on Steam? How much is the game going to cost on Steam once it is released? What are the weapons like? Do you have the old classics, like Las-Cannons, Missle Launchers, Heavy Bolters, Plasma Pistol, Power Fists and Chain Axe? What about Terminator units and Lightning Claws etc? is anything like that going to be added at a later date? Good work so far. Cannot remember the last game-development that had this kind of structure, dialog and generel awesomenes! That being said... Any chance the roadmade part for July could be released like 00,00 on the first of July. I am going on vaca.., I am going to a purge of the fjords and fish. Would be super nice to test the roadmap because when I get back I suspect the next one will already have been implemented. Either way, love the feel of the game. Weapons sounds and feel like I imagined them. The only real issue I have, besides the bugs which you seem to mend record-time, is the "ambient" music. Its not really that ambient, its more like a monotones gregorian psalm with only one verse. Would be nice with some diversity, and perhapes a little "Purge-victory" not when you return from mission. Inquisitor Vlricus von Kronstadt, transcribe ready for archive. I think once you factor in that two of the milestones are much smaller (like the rebel faction one) 9/10 of the staff are probably working on the larger milestones already. At least that's what I keep telling myself, but it would be very odd buisness practice to release a schedule that they didn't believe they could achieve. Time will tell I guess! Can we get some official info when we can test the fortress mode? Saw that the placeholder is still there in the latest patch, but didn't saw it mentioned on the Roadmap. Whatever... keep on with your great work and project. There seems to be the assumption that balance = making all weapons similar to each other rather than in respect to their given roles. I think that just reflects how come games in the past may have implemented it poorly. Weapon selection should always remain an important choice and if you go into PvP with 2x fleshbane weapons and meet a Crusader, you "should" loose. That's not something that balance should even attempt to fix. More to the point though I think there is just a fear that build will suddenly fall from "viable" to "non viable" because of changes inferred from PvP balance. But this is also based on the assumption that this is going to be an "MMO" like game where a 10% change in DPS makes something no longer viable. But in most other game-types that don't have strict DPS checks it really makes little difference. My thought is currently its very difficult for weapons in this game to match up directly against each other. There are no DPS checks, no boss fights that have burn phases and no DPS calculators. If in a PvP setting a Gun is drastically out performing others, then perhaps it's in need of a nerf? - This might be wishful thinking but I think if anything the balance that it might bring will help bring weapons more in line by having more data for direct comparison. How so? Can you point exactly to what makes a balanced game boring? An unbalanced game is worse because it forces everyone to use one or two cookie cutter builds. Think about this. Lets say you're using a hammer, it's good at hammering nails in. Suddenly however, it's also good at a scalpel's job, a screwdriver's and a wrench's. What reason is there to use anything BUT the hammer? You can have separate PVP and PVE balance, WoW does it. Wow was balanced to death yes, making it extremely boring - And no, balance isn't automatically good for a game, especially single player games - in fact, they become plain boring. Damn - I wasn't aware PVP was coming to this game as well? Thats pretty sad. I don't much mind the resources - thats no my issue to think about, but NEOCORE's, but I do mind that this means EVERYTHING will have to balanced to death. If classes, weapons, and skills aren't balanced, pvp isn't balanced and thus will lead to massive disruption amongst the pvp playersbase, as is natural. That means, that any kind of pve fun from having different playstyles will effectively be negated, sacrificed on the proverbial altar of balance - Its not even hyperbole, but what we've seen countless times in other games. This game could of course be the one in a million that escapes this fate, but..however much I enjoy Neocores games, they aren't the frontrunners in innovation they would have to be, to sidestep this issue. You obviously missed Hydra's video sneak peek of the new enemies on the way. Dark Eldar will be one of them. Just had a thought regarding the addition of other enemies, that I wanted to share. It would be really nice, and create more varied gameplay, if you introduced other races as enemies. I understand Chaos and rebels are most common but it would really change things up to introduce whole other races. Just some ideas along these lines, Eldar spies and Tyrannid infections among Imperial planets, would really create some new possibilities for gameplay. So far I am loving the game (really looking forward to the psyker class when available), but thought maybe some non-human like enemies would create some new and different game types. Presumably it's because they want / need everything else to be in place first such as the new weapons and the assassin's skill tree's and perks. Would make sense to do the bulk of the balance work after these things have been added as any major balance overhaul done now would probably need to be done again. Just a guess tho. Also if you watch the stream they talked about the "third class" :D - No date confirmed but a work in progress. Oh yeah and by the way I can't find information about psyker. It will be released later in beta or what? I see no reason in adding PVP mod before balancing. Melee classes are sooo underpowered right now for example. And some skills totally working not as intended. Focusing on this seems more wise. Shame I have to pay for my help to support developers about new game. Really cool and thank you for the detailed information! Played many arpg games with PvP like Diablo 2, Warframe and Path of Exile. Warframe and Path of Exile was optional. Diablo 2 was a bit different as you could turn hostile in game, but it was really easy to avoid. Especially after the patch which made portals auto close on turning hostile. PvP never, ever interfered with my gameplay or pleasure in any of those games. Doomsayers are quite funny. Indeed, countless games have seen players kicked for being "noob" or having sub-par gear due to the DPS checks being so strict. Its my view that the type of content dictates the attitude that follows. Almost statement of fact that in objective and cooperative based content with margin for error there is little issue with this type of attitude. Worst case are Mobas - Where the you have several players playing "their own lane" and when an opponent becomes stronger due to a mishap, then there is an element of blame and frustration. If you put the same player base into an objective arena with far looser variables then the atmosphere improves proportionately. Just chiming in, and I am sure others have said something akin to this but: just because it is in the game does NOT mean you are forced to play it. I am really looking forward to PVP, as some people know. I believe that some people are worried that the community could be toxic, but I do not forsee that happening, and I am pretty sure Neo would put a stop to that rather quickly. And hey, if it does not work, they could very well just remove it. PVP is refreshing for me. Instead of fighting the AI, it is fighting a person. They do everything differently than AI, it just adds a fresh change. While I can understand the fear of having devs focus on pvp instead of pve, as Kvothe pointed out, it more than likely is just a small group working on the pvp. PVE needs to be the center for an ARPG, so dont feel like they are abandoning it completely. I believe Neocore is just working to appease every one. PvP isn't entirely negative as some people are claiming it all depends on a LOT more knowledge than we currently have. How supported will PvP be? What will it be like? Will it be like D3 where it's a throwaway thing where it exists without balance from the devs? Or will it be more like a competitive PvP game where it requires rigorous balancing? How many game modes will there be? Real hero's never retire for long :D we have a calling! Once again I commend your neutrality on this. Emps protect! "Perhaps a little unfair to state that the majority of players expressed disquiet while not mentioning that many of the very same individuals stated the feature would be an asset if done well." Alternatively it was a more neutral summary rather than one pushed a personal agenda. So much for " ... shall retire from this thread for now as it has proven to be as circular as the previous conversation on this topic." If I was cynical I would be wondering how long before you start another thread pushing your desire for PvP. To summarise, once again despite a contrary strong personal interest being expressed, the majority of contributors felt varying degrees of disquiet over the inclusion of PvP. Thanks for the reference, couldn't find it myself. Perhaps a little unfair to state that the majority of players expressed disquiet while not mentioning that many of the very same individuals stated the feature would be an asset if done well. There were of course a number players who stated a lack of interest in but in equal measure a number of players expressing excitement as the possible features. Not a single demand for it to be removed or abandoned however. Which seems to be a key theme within more recent discussion. Sorry but I had to chime in there. Felt that anyone unwilling to read the thread would make the assumption that it was another anti-PvP thread. Have a nice weekend friend. "I'll read your response but shall retire from this thread for now as it has proven to be as circular as the previous conversation on this topic." Circularity would not have been necessary had the idea been welcomed that the community on the whole should be surveyed regarding this, or at the very least encouraged to express their opinions that run counter to your own. Selecting everyone in this thread that stated something negative toward PvE and remarking to them they were wrong or uninformed is hardly healthy discourse. I cannot think of a single time that keeping silent on an issue ever benefited gamers. Telling them that "They do not understand the process" then retreating to "It is too late to affect the process" certainly does not serve a community that should be engaged rather than told by another forum member what to believe. That is one of the major areas we disagree. I want people to express their opinions whether they agree with me or not. And I think it is wrong, for any reason, to play constable for the developers because it filters what can benefit them and thus other gamers. Here is a guarantee. For every shortcoming in PvE, real or perceived, many gamers are going to look to PvP as the culprit. In some instances they will be wrong. And in some they will be quite correct. PvP, even its simplest form,. requires far more long term maintenance than PvE. Constant re-balancing, tweaking this and nerfing that. And that is the 4 to 5 iterations over weeks to a month with the devs and QA before the changes are released to the public. Then devs and the community are treated to the discovery that gamers have located an exploit or a shortcoming developers did not catch, and the entire process begins again. As soon as new elements are introduced to PvP the vicious re-balancing cycle begins anew. Now there is a resource hog that dwarfs the maintenance required for PvE. "Repeating 100 times that some games have failed due to pvp will not make this statement true "
I did not claim it is true of every game. But it is true often enough that gamers should be quite wary of the possibility of the incomplete game. That is if they care about a game. If they do not care it does not matter one iota what developers do. Why even provide, or rather attempt to provide to the developers the very feedback they have stated they wish to hear. As I remarked, telling people not to voice an opinion because of their "lack of knowledge" is on the haughty side and stating it is "too late to affect development" is actually in disagreement with the devs own position. I do not recall one moment in a live stream where they asked people to drop their concerns and not provide feedback. If you have played a variety of genres and been involved with titles from their early announcement then you have witnessed the rob Peter to pay Paul phenomena. Single Player games being waylaid or reduced for the purposes of MP focus isn't myth. You can stick your fingers in your ears and your head in the sand but it is not the uncommon occurrence you wish to believe. And if you haven't seen it then you have either ignored it intentionally or else you haven't the breadth of gaming experience. Which mystifies me because of its commonality. It happens. Again it is the simple and unavoidable truth of raw math and resource allocation. Gaf and reddit as well as particular game related boards have seen their fair share of outright rebellion when such situation has arisen with quite often the title's individual boards bearing witness to mass thread deletions in an attempt to quash the situation. Ubisoft was notorious for this. Rockstar fared no better when the much discussed Single Player add on for GTA V failed to materialize. There are plenty of instances. I do not have an issue with MP titles, just do not advertise your game as PvE focused. And pick a mode and be the best at it. One single well developed mode trumps two half developed modes. Some devs such as Starbreeze have forgone SP titles altogether because for them it does not pay the bills. That is fine. No issue with that point of view and I find Payday enjoyable for what it is. And they were upfront about its nature. That I is something with which I have no issue at all. It has reached the point where many devs of series development go out of their way to discuss the features of the Single Player and how they are not shortcutting matters because previous iterations of a game led to forum wars and unmitigated castigation on a grand scale. Those that ignore history are doomed to repeat it. And yes, regarding this thread I too am out. But I will part with this repetitive remark: Gamers should express their opinions regardless of the point in the development cycle. It may or may not alter an in progress feature and no one, no one knows but the developers and the holders of the purse strings when that point of no return occurs. You may only affect the DLC or the next game. But you are guaranteed to have no impact at all if you sit idly by. Re Hatchet - You can usually tell when an argument is emotion based when it talks in a mixture of vague statements and absolute truths with no middle ground. Repeating 100 times that some games have failed due to pvp will not make this statement true of every game as a rule of law. We could take it in turns listing games that have failed / succeeded if you like but ultimately it would only prove my point. There are no absolutes. I'm only asking people to respect that and accept there is a chance of success and no guarantee of failure. Most of these dramatic warning are based on games that have shifted entire departments, months into PvP development, entirely new directions for a game. Can you please tell me where within the road map or within current interviews / streams etc that this has been indicated in any way? In truth it represents a tiny portion of the content being created - I do not accept "other devs lied to us" as a valid justification for this level of concern. 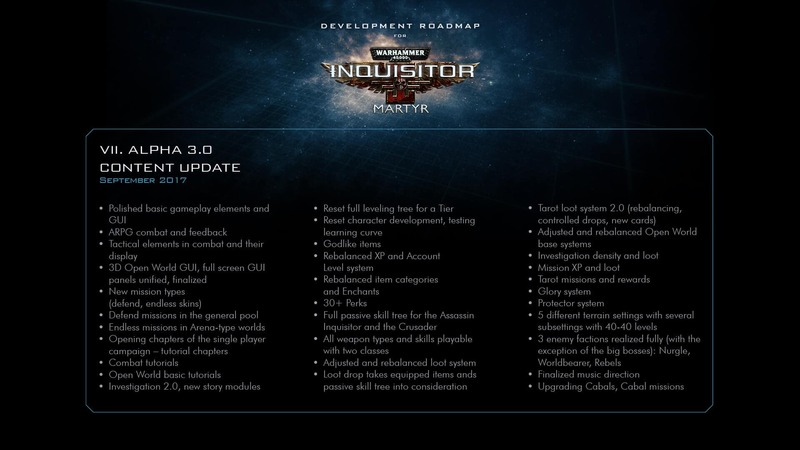 Everything they have said for the past 2-3 years has been focused on making a vast open world experience with an absolutely amazing list of features, this has not changed. If you had chosen to make the case for not placing emphasis on this feature - i'd actually be agreeing with you 100% and we wouldn't be having this conversation. But instead trying to abandon something that was on the road map at the very beginning and imminently about to be tested , due to a long list of assumptions to me at least seems wasteful of opportunity. Lastly I may seem a white knight to you. In truth i've dedicated a few thousand words to criticising the game, it's development and its direction. There are also features i'd like to see in the game and features I do not care for. But all I see is fear mongering based off of these points being made as absolute truths. My reason for challenging the arguments isn't to attack them, it's to dig for more clarity, which I am still looking for. All I have ascertained thus far is that people are fearful that past experiences will be repeated, but there is no evidence to support that fear other than loosely translated past experience that has been generalised and turned into "truths". The sheer unwillingness to even bother testing a feature that's imminently going to be released just serves to highlight my point. If in two-three weeks time players are having fun then what is the harm with this? Potentially more money, more players will be attracted to the game for longer time period. That puts more money in their pocket which would probably negate any concern you have regarding their time invested in the project. If it is bad, i'll be giving feedback along with everyone else about what's wrong with it or to get rid of it. But when so close to implementation why kick up such a fuss now? - It was on the timeline 4 months ago. Why not spout all these warnings back then when they would have been far more relevant and potentially cost saving. It's been a pleasure. But likewise we will have to agree that we each find the other view objectionable. I'll read your response but shall retire from this thread for now as it has proven to be as circular as the previous conversation on this topic. Having watched the recent stream and the comments made towards the end of it, it is apparent that there are at least some of Neocore that fervently want PvP in the game. A month or so ago the subject PvP was discussed amongst the players, with a majority expressing a particular view. Regardless, it has now come to the fore once more.Therefore, given how after the pistol and sword issue was resolved, the recent comments made about that and the company's general behaviour since then, I doubt we will get any meaningful response from Neocore about this. In my experience, PvP always influences game play, unless it deliberately creates separate gear for the two different aspects of the game. In the end I suspect it will boil down to some players abandoning the game or being being put off from it because of the PvP. But, also that some already playing the game gladly embracing it, with others picking up the game because of it. However, Neocore ultimately being a business regardless of personal likes, will have to decide which route will secure the greater market for the intended longevity of its product. Whilst as a player I have particular views about this subject, I have couched this post as neutral as I can. I game all types of titles. From FPS to RTS to ARPG. It isn't a small selection of titles that have seen PvP become the overriding factor or at least enough of one to make it quite visible that other areas of the game were compromised for that feature. How many SP campaigns have suffered for the sake of MP? How many games have Co-op? How many are missing Co-op for whom Co-op would be an incredible fit yet it was sacrificed for what is in the end a MP mode for which most gamers did not care. All to chase the competition/MP DLC/Be everything to everyone banner. Those who try to be everything to everyone wind up being nothing to anyone. Jack of all trades, master of none. You keep saying PvP will be such a small piece. How can you be 100% sure? You can't. In an attempt to quell fears many fans of various titles have stated "Don't worry" yet in the end it turns out not to be the case. I would like to trust Neocore 1000% on this but fool me once, shame on you. Fool me twice... Remember, trust but verify. When was it decided to suddenly push PvP to the forefront next month? A long time ago. When did we find out? Exactly. Things change or more realistically the facts are revealed at set intervals. Trying to head off these remarks of PvP dissatisfaction at the pass is the worst thing that could be done. You are white knighting on this issue. You realize that right? And if PvP turns out to eat more of the game than you think then gamers will turn on this title in a New York minute. The smart thing to do would be to stop discouraging gamers from voicing their opinions, and you are doing that by telling everyone their concerns are unwarranted and they do not know what they are talking about. If the dev team does not understand what an issue this is for gamers it will be to the detriment of the game, not the benefit. Is that what you want? And before you type I would not be so assumptive to think it would not happen. As I said, history is not on your side in this. The best thing to be done is to ask all posters to lay out their opinion so the devs can read it. Don't tell forum posters to go ahead and post about something they shouldn't worry about. Tell everyone to give their take on the PvP vs PvE situation. A poll would be the best thing provided it offers room for explanation. What isn't good is telling gamers, purchasers, community supporters that they shouldn't say anything because they do not understand. They are kneejerking, their fears are unwarranted, they fail to understand, they are ignorant. Does that encourage the feedback the devs have asked repeatedly to hear? No, no it doesn't. So in an attempt to help the devs you are hurting the devs. I believe in all honesty that you are wrong, no other way to state it. Sorry. But I think you are wrong as to why people oppose it and it isn't because they dislike it. And I say this as someone that opposes PvP in this title. I know why I oppose it. I know why other people with whom I have talked oppose it. We dislike it for the reasons I have stated and that is we know what happens so many times where it eventually drains resources for what so many of us want which is PvE. The focus shifts despite a multitude of gamers wanting focus on PvE. As I have stated previously, it is impossible to implement a feature in a game for an additional mode without having to compromise other modes. Math 101. Accusing people of being paranoid isn't helpful to the community when all they are trying to do is make sure the developers understand their wishes. Which is what the developers have asked to hear. What should be done is to make an attempt to get as many opinions to the developers whether you or I agree with them or not. 1 - Perhaps of a limited selection of titles, but far from historical fact. PvP has been proven to work in as many games as it has failed in, if not more. This is why I take issue with stating it as fact that PvP will fail and to be the detriment of the game. That is to say that I feel like the response is a little disproportionate to the chance of failure - this is my opinion tho based on personal experience. 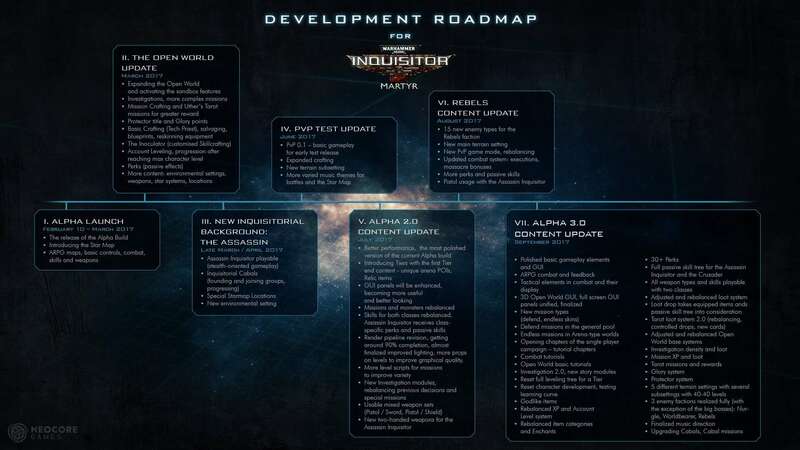 2 - When the roadmap is as large as it is and the PvP representing such a small piece of it - Why single it out as being the likely cause for any delay? If anything it's far more likely one or many of the other features will bork and cause the game issues or delay. From what is has been described as being once it is created, which it may have been already - then there is no further time required to develop it and no further drain on resources. There is no promise of endless pvp content or indeed anything other than a small arena. It seems like people are expecting the developers to abandon Pve and turn it into a PvP game, where in reality they have just stated they are making a very small feature of essentially dueling with some minor objectives. Ergo once created only balance modifications are required which is something the pvp players can contribute to and others can ignore. 3 - I'm here making the case for PvP because honestly the only real reasons I see for those who oppose it are those who dislike it. Other arguments to me at least seem to be based more out of emotional reaction to it rather than based on any form of facts. Which is fine if you dislike it, but to deny it to others due to personal bereavements seems in poor taste to me. Given how smaller feature it is within such an expansive game. In short don't want to see it discounted before even being trialed due to paranoia. There is huge opportunity for it to be a thriving feature, perhaps not for everyone but for many. 1 - It isn't a doomsday prophesy when it has been proven time and again. Games almost never escape unscathed. That is historical fact. I and (and quite a few others if you look) are not chicken little. It is our experience with past titles where we have watched this sort of thing occur time and again. This sort of attitude regarding PvE/PvP is not exclusive to this game alone. Gaming in general is seeing a resurgence among certain demographics that move in the opposite direction of the Overwatch and MOBA crowd. 2 - I know quite well how these features are implemented and when certain factors have been decided. 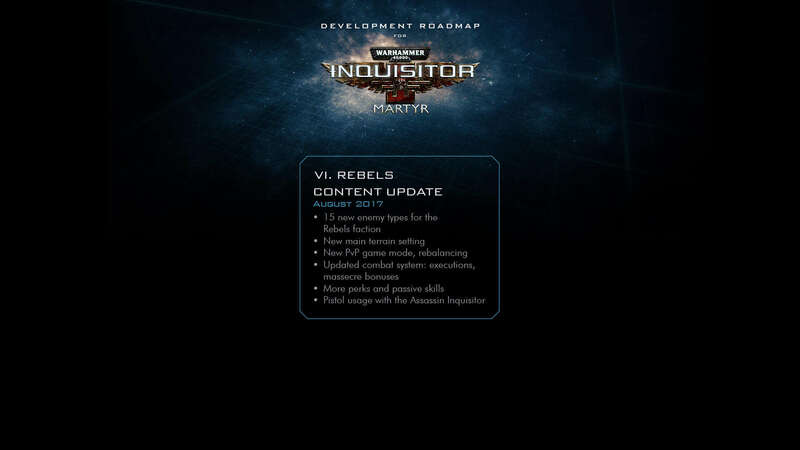 IF, and this is an IF, the game could possibly launch this fall, and IF PvP is to be part of the initial launch then no. No I do not think our remarks will change the core design one bit because milestones have already been locked and that have set the team on a particular timed development course. 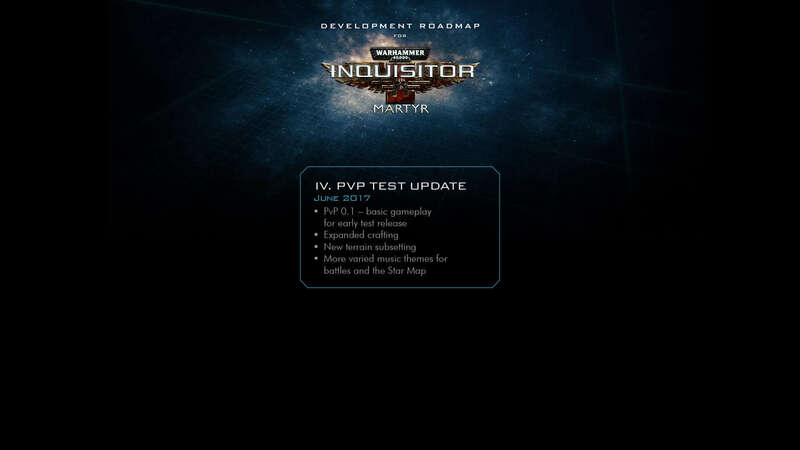 IF the game is not set to possibly launch this fall but rather in the spring then there is time to alter matters and lessen the PvP impact on the PvE development. Because it does have an impact for reasons stated in previous posts. In the event of the former and a fall launch, and I think that likely, there are still several items yet to come such as DLC and decisions for later seasons. It is those features that we as the community can affect. It is those items that may be looking at either a PvP or a PvE evolution first and we want to insure that it is the PvE that comes first in the event, as is quite often the case, the second item does not make it into production at all. Dev teams often and with necessity do not reveal to the public how much of a title is already written in stone. The average gamer has no idea of the size of a design document - frigging New York Telephone directory because it has to speak to everyone internal and external to the team. That isn't going to change to a vast degree. That said, developers often have to be less than truthful sometimes so you have to take what is sometimes said with a grain of salt. This team though is being more transparent than many teams by revealing a somewhat detailed roadmap. 3 - Forewarned, forearmed, to be prepared is half the battle. If gamers do not start sounding the alarm and doing so fervently in a very loud and demonstrative fashion dev teams often misunderstand the seriousness with which gamers take a matter and the impact the community sees with a certain direction. Remember, this is Warhammer 40k, not Star Trek. Resistance is not always futile. There is quite a bit of material that is not yet in the development stages and likely still in conception if it has even reached that point. We can affect those. Do not refuse to do nothing because you can only do a little. Do what you can. I agree that any jackass can kick down a barn door and it takes a craftsman to build one but fervent expressions of disagreement with a direction are indeed, at least in this case, part of the crafting process due to the fact this game is not being developed in a vacuum.